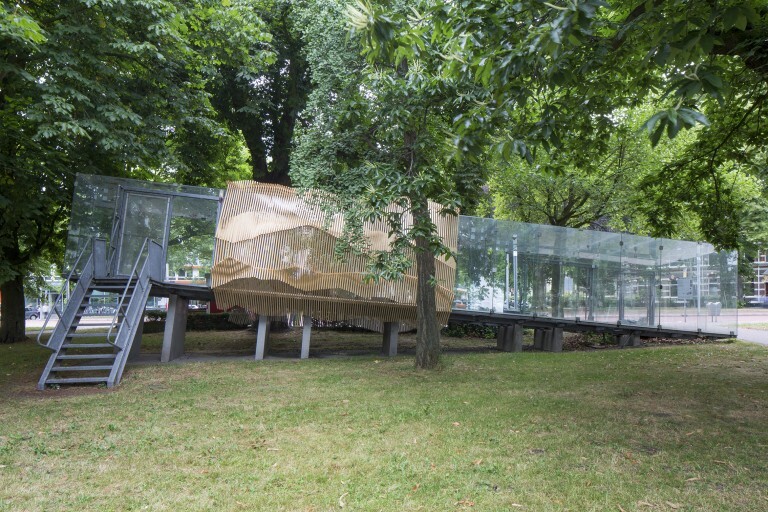 The Tschumi Pavilion (built 1990) lives on with regular artists’ interventions taking advantage of the disorienting effect of the tilted floor and exploring issues of transparency/opacity and domesticity/urbanism. 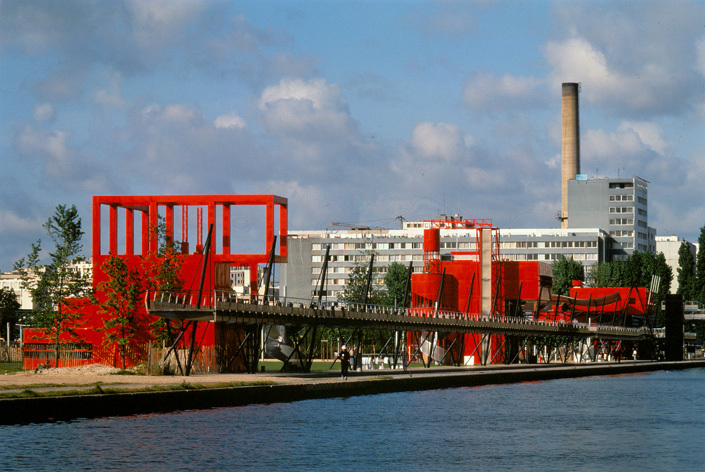 The Parc de la Villette, designed and built by Bernard Tschumi Architects, has just been designated a “ 20th Century Landmark” by French Culture Minister A. Azoulay for its architectural qualities and contributions to history and technology. 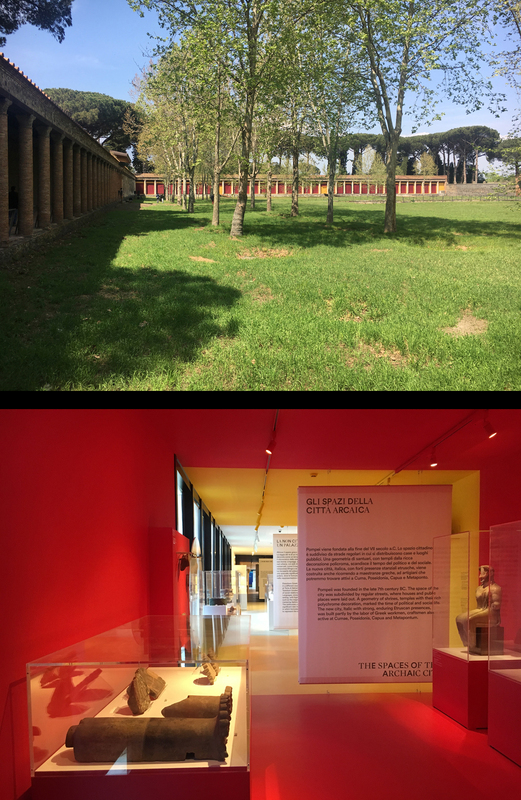 On April 11, 2017, Bernard Tschumi Architects opened a redesigned exhibition gallery in the large palaestra of the archaeological excavations of the Pompeii ruins in Italy. The installation for the exhibition, also designed by Bernard Tschumi Architects, celebrates the interaction between Ancient Greek and Roman art in the Pompeii region through a sequence of seven rooms, each in a different color. 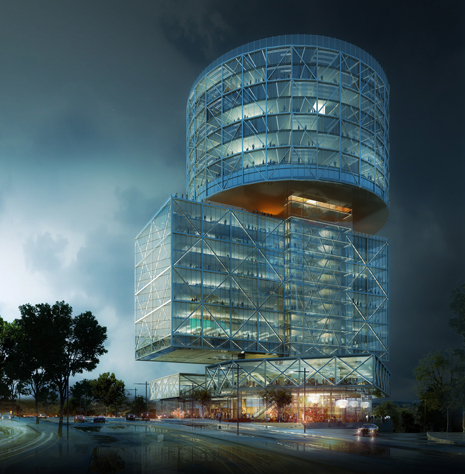 Bernard Tschumi Architects is one of the eight teams shortlisted by ArcelorMittal and the Fonds Kirchberg to compete in a two-phase process for ArcelorMittal’s European Headquarters in Luxembourg. The building will become the new home of the largest steel company in the world and will accommodate offices as well as a conference center and restaurants. 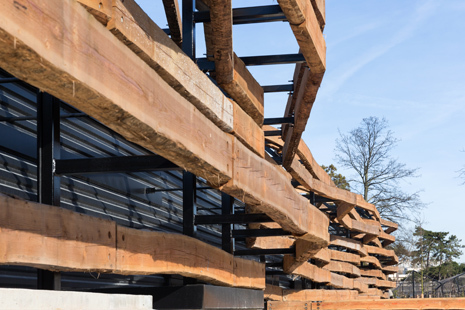 Bernard Tschumi Architects received the prestigious Lignum Award, honoring the best buildings in Switzerland using wood, for Carnal Hall at Le Rosey. Carnal Hall features the first philharmonic concert hall of its size which repurposes modest, utilitarian Oriented Strand Board (OSB) wood—typically used on construction sites—to achieve world-class acoustics on budget. 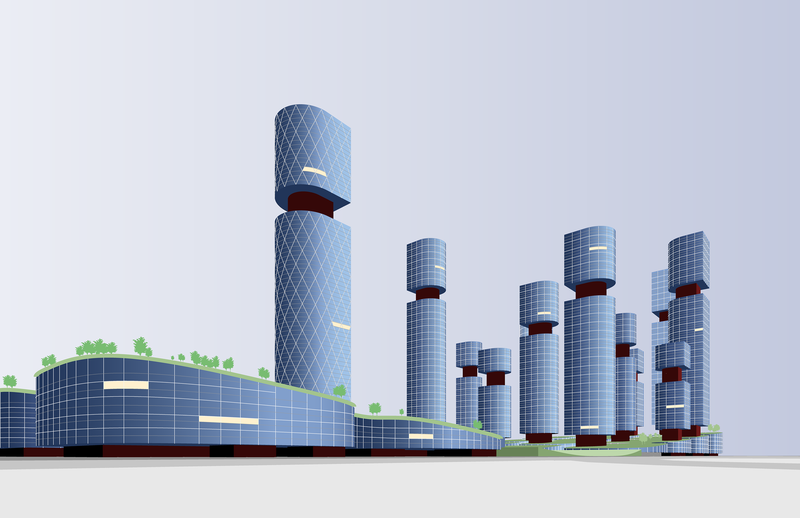 Berrel Berrel Kräutler has won the major competition after being selected from over 250 firms, including Rudy Ricciotti, Zaha Hadid, Steven Holl, Kengo Kuma, Henning Larsen, David Adjaye, and WORKac. 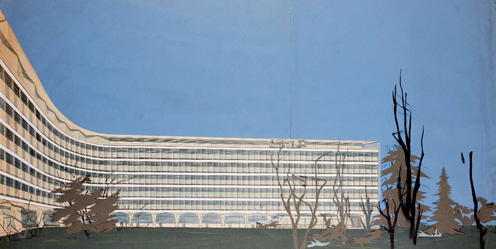 The winning design for the World Health Organization Headquarters expansion is connected by passageway to the Main Building, the competition-winning design by Jean Tschumi completed in 1966. The building features many applications similar to that of Tschumi’s original building, and opens the complex to its natural surroundings. 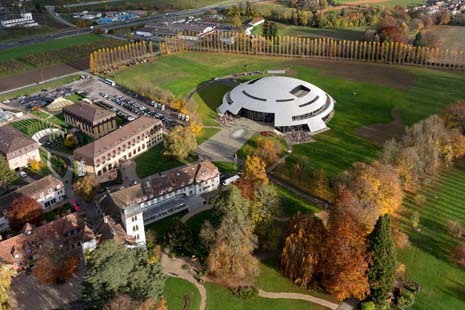 The Le Rosey Concert Hall was voted by the Architizer Jury as best among the Hall/Theater category. 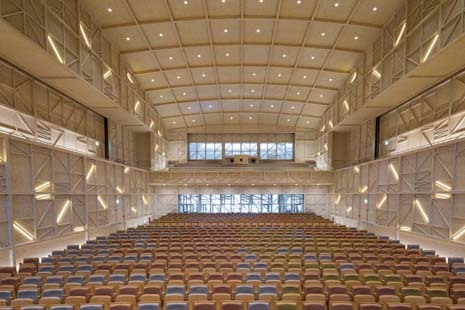 Located in Rolle, Switzerland, the state of the art philharmonic hall responds to major sustainability goals with measures including natural mechanical ventilation and use of recycled OSB compressed wood. 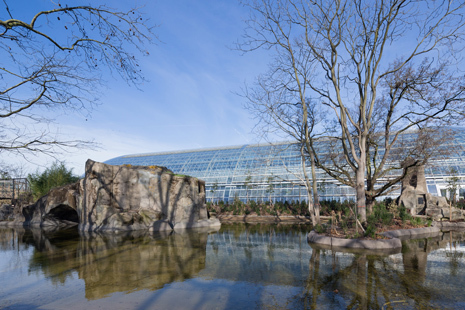 France’s largest architecture magazine, Le Moniteur, has named the Paris Zoological Park designed by Bernard Tschumi Architects with Véronique Descharrières for new architecture and Atelier Jacqueline Osty for landscape, as one of the five most emblematic constructions in the nation for 2014. Other recipients include the Louis Vuitton Foundation by Frank Gehry and the Soulages Museum by RCR Arquitectos. The Zoo was also among the 2014 projects rewarded by the AIA New York State. 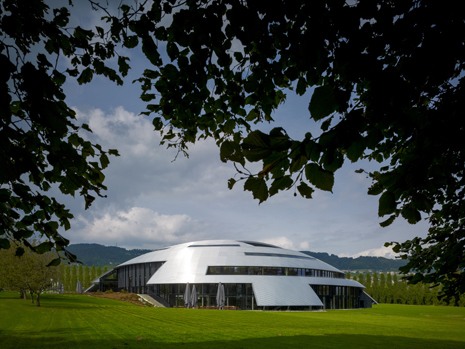 Carnal Hall, the new concert venue and center for art and culture at Le Rosey, the prestigious Swiss boarding school, will open in an inaugural performance on October 2, 2014, in Rolle. 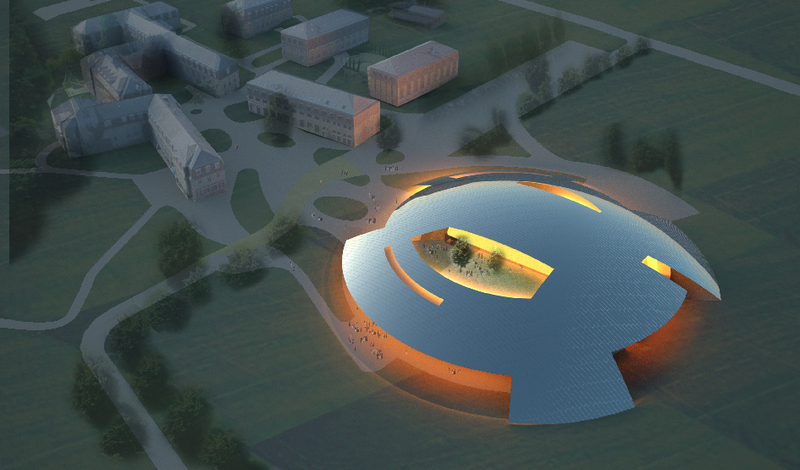 Tschumi’s design for the project consists of a low stainless steel dome over a rectangular wood concert hall and is a strikingly contemporary addition to the historical campus. Opening the 18th of September 2014, the New Hague Passage, to be called De Passage in Dutch, is Bernard Tschumi Architects’ first built project in the Hague. 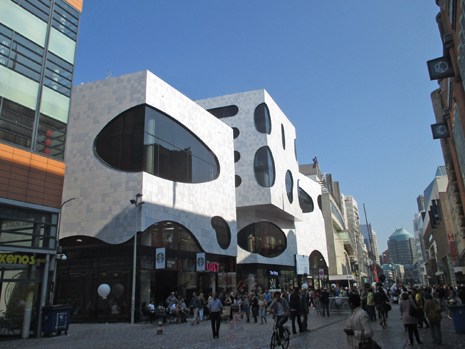 The new building is built around an interior passage, which connects to the 19th century passage at the north end, and the busy Grotemarkstraat at the South. The complex contains a hotel and retail shopping on two levels in an 11,500 square-meter complex. 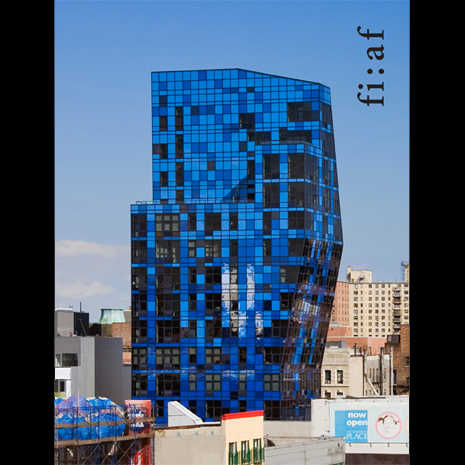 The building’s distinctive blue and white tiles and free-form fenestration create a contemporary expression that mediates between old and new in the historic city. 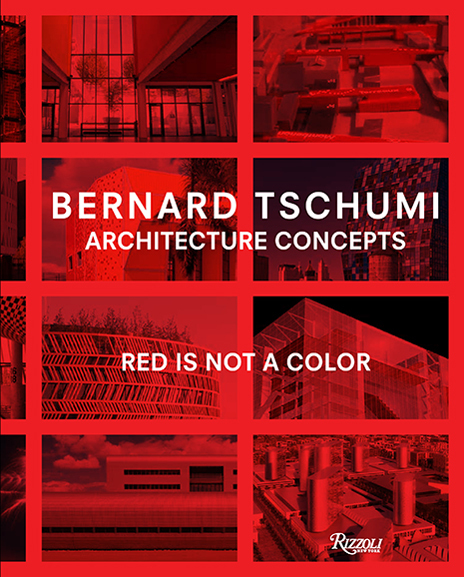 Several new books by Bernard Tschumi have been published in the spring and summer of 2014, to informally coincide with the exhibition at the Centre Pompidou in Paris. In addition to the exhibition catalogue, Architecture: Concept & Notation, a bestselling bilingual edition published by the Centre Pompidou, there are books on the Parc de la Villette, Tschumi’s sketches, and the Paris Zoo. 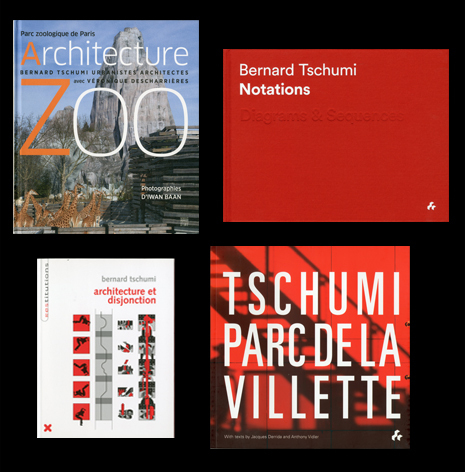 The first book, published by Artifice Books in French and English, Tschumi Parc de la Villette is the first book by Tschumi to fully explore the park’s design in detail with essays by Tschumi, Anthony Vidler, and Jacques Derrida. 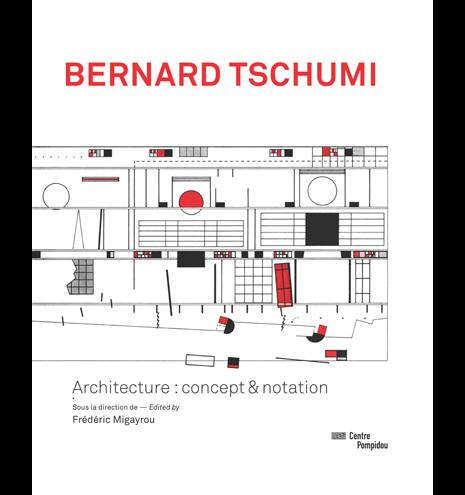 Another book, Notations: Diagrams and Sequences, collects for the first time Bernard Tschumi’s sketches as a visual argument for concepts in architecture. Also published by Artifice Books, the title is released in separate editions in English and French. Finally, a book in French on the Paris Zoo is titled Architecture Zoo with photographs by Iwan Baan, published by Somogy. Also published is the first French-language edition of Architecture and Disjunction and a children’s book on the Parc de la Villette, Archicube. 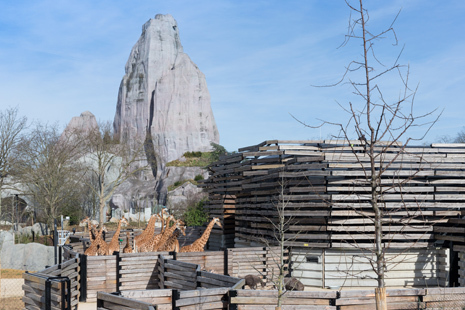 After being closed for five years, the renovated and re-imagined Zoo de Vincennes in Paris will open on April 12. With buildings designed by Bernard Tschumi urbanistes Architectes with Véronique Descharrières, the completely transformed zoo will house animals from French-speaking territories divided into five different biozones designed by Atelier Jacqueline Osty and Partners. 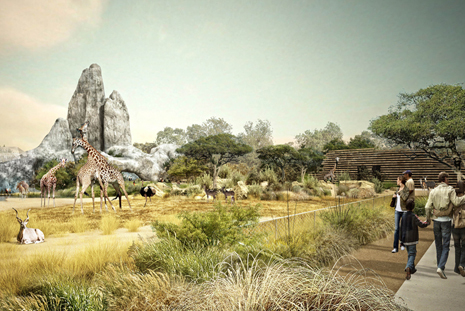 The focus of the redesign puts greater emphasis on natural habitat, so as to provide a better platform for the zoo’s pedagogical and ecological agenda. Bernard Tschumi participates in a symposium at the Yale School of Architecture, titled Digital Post-Modernities: From Calculus to Computation. Tschumi lectures on modes of notation and paperless studios and the digital transition that happened during the 1990s at Columbia and elsewhere. Other symposium participants included Greg Lynn, Peter Eisenman, Alejandro Zaera-Polo, Charles Jencks, and Frédéric Mirgaryou. Bernard Tschumi lectures at the MAAXI in Rome about the ANIMA cultural center planned for Grottammare, his first commission in Italy. 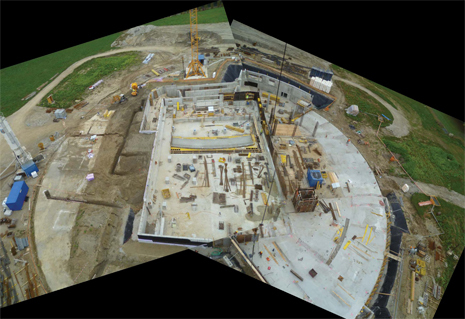 Part of the program commemorating its 30th anniversary, the FRAC Centre invited Bernard Tschumi to design an exhibition from the museum collections, presented at the FRAC Abattoirs in Toulouse in fall 2013 and the FRAC Centre in Orléans starting in May 2014. Designed by Bernard Tschumi as a series of manifestos on the city and the radical architecture of our time, the exhibition and its catalog start with a simple observation: there can be no architecture without a concept or overarching idea that drives it: architecture is the materialization of concepts. 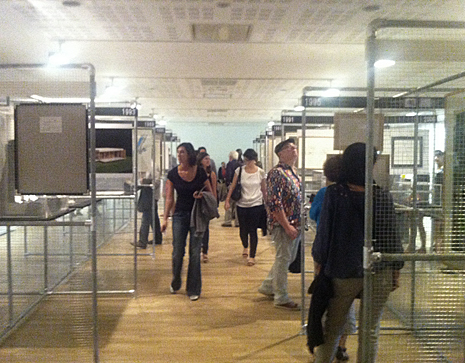 Each of the artists presented presents at one point a clear concept, a vision of the city and architecture today. Concept precedes form. The committee behind the redesign and reconstruction of the Paris Zoo announce that the work will be complete in exactly 1 year. A ceremonial event was held on May 14, 2013 for press and dignitaries. The Acropolis Museum by Bernard Tschumi Architects was listed as #3 on a list of best 50 museums in the world, assembled by the Times of London, following only the Smithsonian and the British Museum. On the occasion of the opening of the exhibition, Everything Loose Will Land at the MAK Center, located in the historic Schindler House and Studio in Los Angeles, Bernard Tschumi and Thom Mayne engaged in a debate moderated by Sylvia Lavin drawing on themes from the exhibition, discusssing the historical influences of art and architecture since the 1970s in Los Angeles and in their respective work. 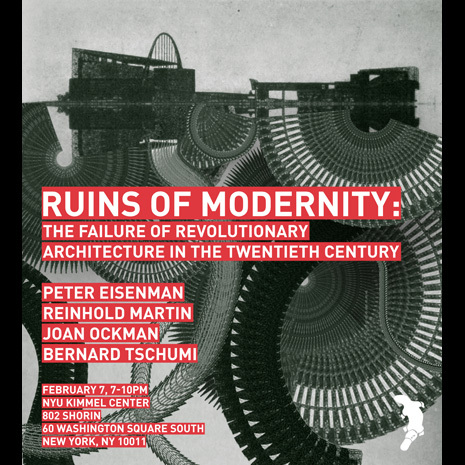 Bernard Tschumi will lecture on his new book at the Graduate School of Design at Harvard University in Cambridge, Massachusetts, on March 28 and at the Architectural Association in London on April 24, 2013. 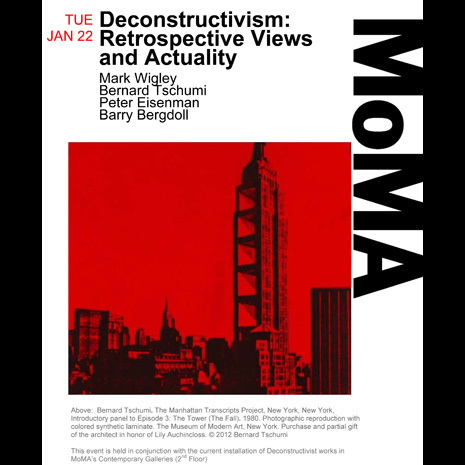 Bernard Tschumi and Peter Eisenman look back at some of the misconceptions around Deconstructivism in honor of the 25th anniversary of MoMA’s seminal exhibition in 1988 with Mark Wigley and Barry Bergdoll, followed by a book signing in MoMA’s Lauder Lobby. A conversation about architecture books will be hosted at Columbia’s GSAPP on November 29th at 6:30pm. 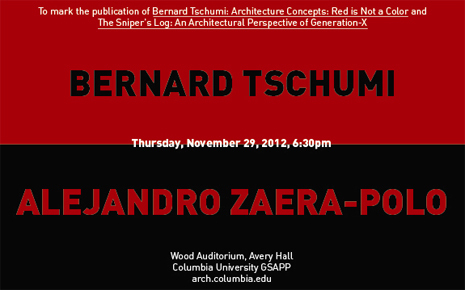 Bernard Tschumi will be discussing his recent book, Architecture Concepts: Red is Not a Color with Alejandro Zaera-Polo, whose own book, The Sniper’s Log, is also being released this fall. The event will be held at Wood Auditorium in Columbia’s Avery Hall. A discussion with Bernard Tschumi is to be hosted by the French Institute Alliance Française (FIAF) and moderated by Michael Boodro, Editor-in-Chief of Elle Décor magazine. The talk will be held at FIAF’s Tinker Auditorium, 55 East 59th Street (between Park and Madison Avenue) on Wednesday, November 14 at 7:00 pm. Tickets are available at the FIAF website. A book signing will follow the discussion. 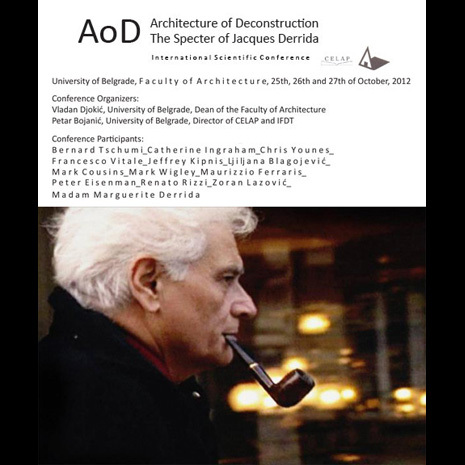 AoD Architecture of Disjunction: The Specter of Jacques Derrida, an International Scientific Conference organized by the University of Belgrade Faculty of Architecture, is held in Serbia from the 25th to the 27th of October. 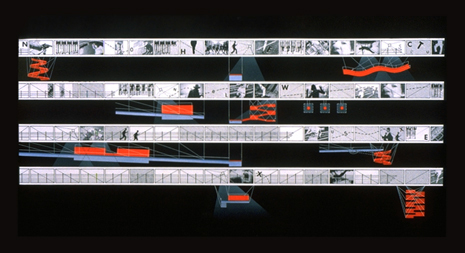 Participants include Bernard Tschumi, Peter Eisenman, Mark Wigley, Jeffrey Kipnis, Catherine Ingraham, Ljiljana Blagojević, Marguerite Derrida, and others. Bernard Tschumi exhibits four new panels based on his Advertisements for Architecture series from 1976 as part of the Common Ground exhibition at the Venice Biennale, curated by David Chipperfield. 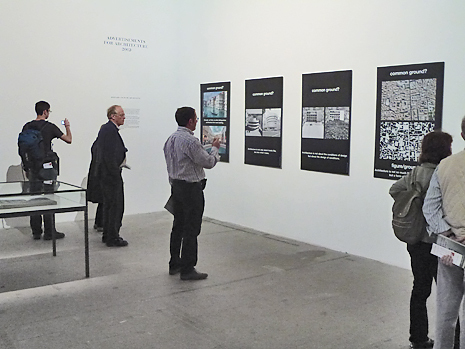 The new panels show a series of diptychs with slogans that relate to issues on contemporary architectural practice. 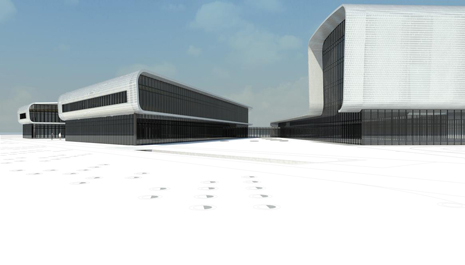 Bernard Tschumi Architects has been commissioned to design a 100,000 square-foot (10,000m2) extension of the Vacheron-Constantin factory and headquarters building, also designed by the firm and completed in 2005 near Geneva. 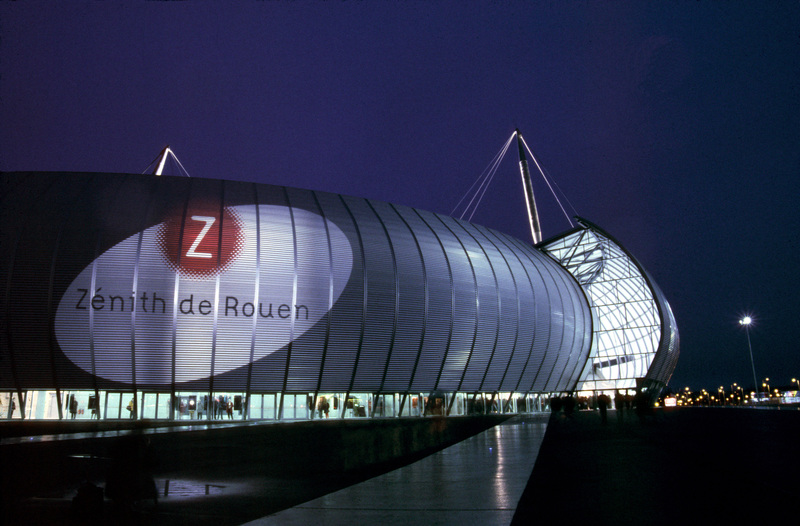 The work of Jean Tschumi (1904-1962) is celebrated in Orleans, France. 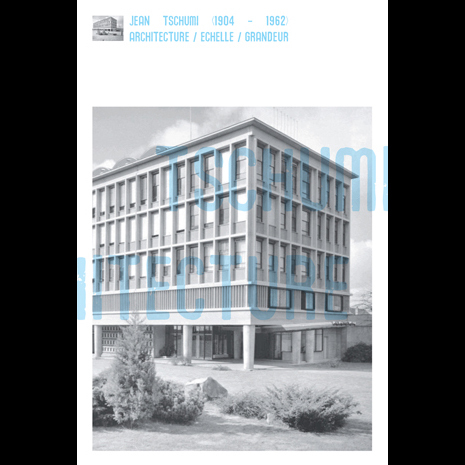 An exhibition prepared by Jacques Gubler and curated by Elke Mittmann opens at the Maison de l’Architecture in Orleans, with a lecture by Jacques Gubler at the Orleans Mediatheque. 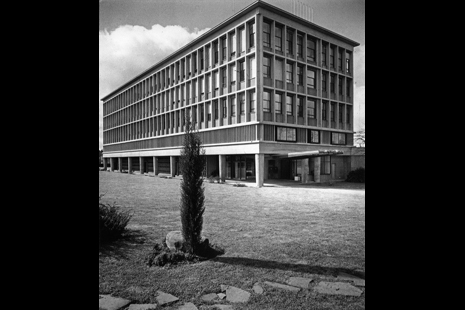 A colloquium on the preservation of 20th century architecture will take place on June 12, moderated by Richard Scoffier with Dominique Lyon, Francis Soler, Bernard Tschumi and Docomomo activist Agnes Cailliau; it will discuss possible scenarios of reuse of Jean Tschumi’s first building, the Sandoz Laboratories in Orleans (1948-1953). Construction begins on the new performance center to be called Carnal Hall at the Swiss boarding school Le Rosey in Rolle. 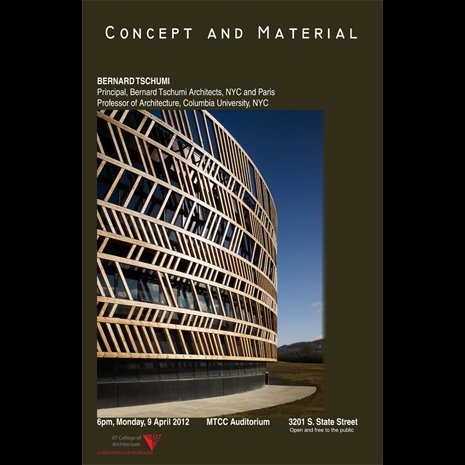 Bernard Tschumi lectures at IIT in Chicago on the subject of Concept and Material in Architecture. Bernard Tschumi and Barbara Kruger are honored as part of the annual spring benefit for Storefront for Art and Architecture featuring a silent auction of artworks held in the historic lobby of the Woolworth Building. The evening also featured a performance on the roof, which was lit with red lights for the occasion. Two groundbreaking ceremonies are taking place this fall for projects designed by Bernard Tschumi Architects: on October 26 in the Hague, for the Nieuwe Haagse Passage, a shopping arcade with a 200-room hotel in the historical city center, and on December 7 for the Paris Zoo, a € 110M redesign of the old Zoo de Vincennes. 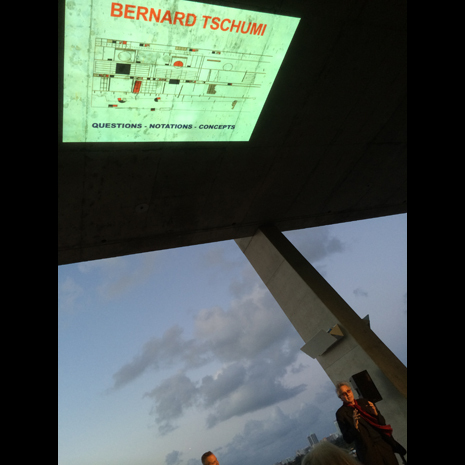 Bernard Tschumi lectured in October in Aachen, Germany, at the “rethinking Mies” conference on the occasion of the architect’s 125th birthday. Other recent talks include a symposium at Columbia University, New York, titled “What Happened to the Architectural Manifesto” and a lecture at the “Image de Ville” Conference at the Cité de l’architecture & du Patrimoine on the subject of “The Street,” both in November. The Acropolis Museum by Bernard Tschumi Architects will be featured as a part an exhibition of the Mies Foundation 2011 European Union Prize for Contemporary Architecture selections in London, at the Roca Gallery from November 28 to January 27, 2012. 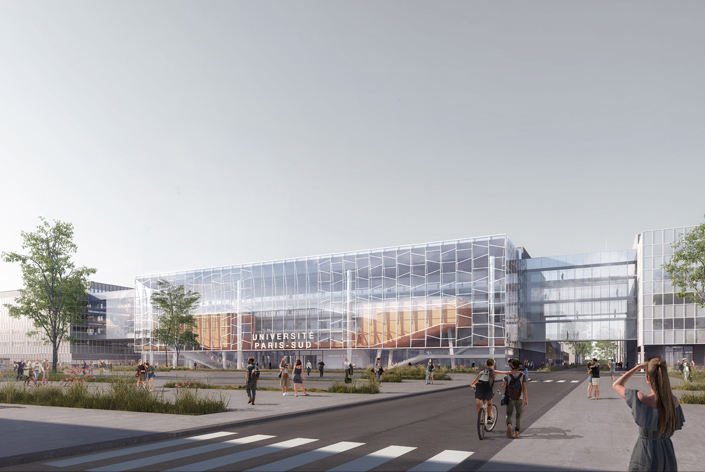 BTA’s competition entry for the EDF Saclay Research headquarters was also featured in an exhibition in Paris at the Cité de l’architecture & du patrimoine during November. On January 25, 2012, Bernard Tschumi Architects will show for the first time in the US their project for the Carnal Hall Concert Center in Rolle, near Geneva, Switzerland, at the Biennial of the National Academy of Design, in New York City. 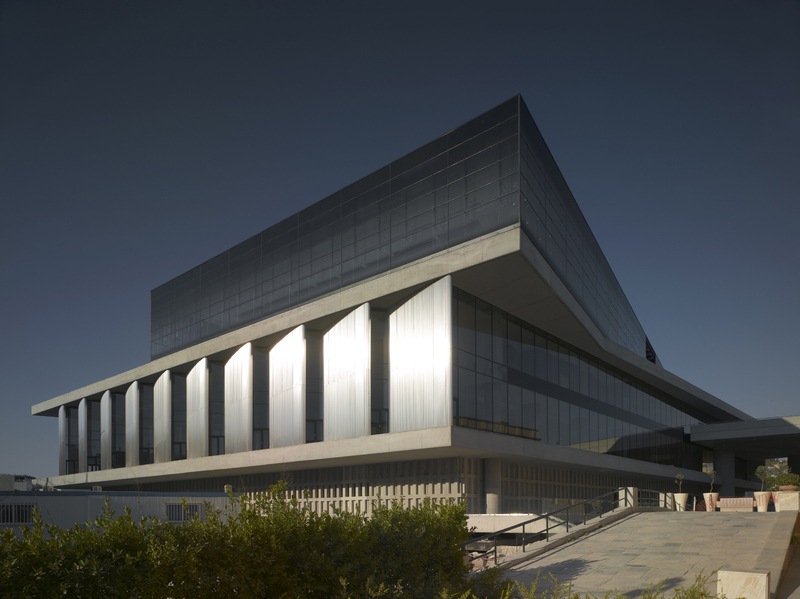 The Acropolis Museum, by Bernard Tschumi Architects, received a 2011 American Architecture Award conferred by the Chicago Athenaeum and The European Centre for Architecture Art Design and Urban Studies. 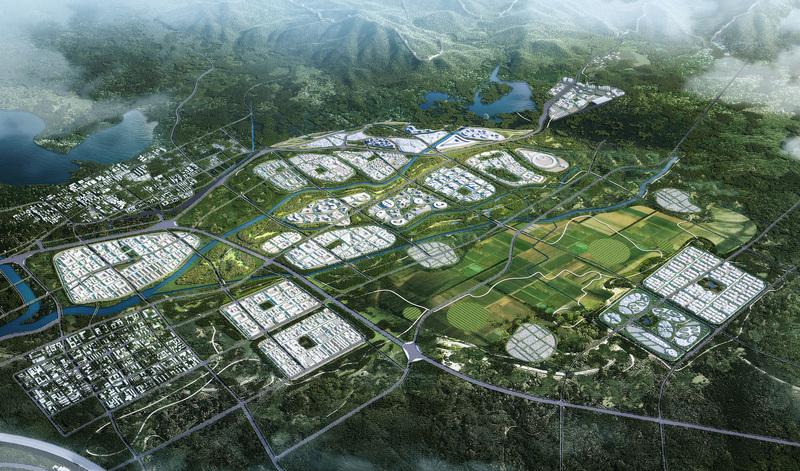 Other winners included works by Steven Holl Architects, Morphosis, and S.O.M, among others. The full list of award winners is available at www.chi-athenaeum.com. Bernard Tschumi accepts an Honorary Doctorate from the Royal College of Art in London at Convocation Day Ceremonies at the Royal Albert Hall. 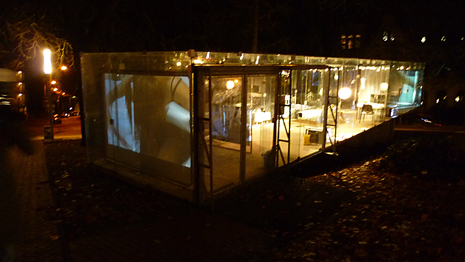 The Glass Video Gallery in Groningen, now known as the Tschumipaviljoen, has won the Groningse Straatkunstprijs (Public Art Award Groningen). The award was presented to Marinus de Vries, the Chairman of the Foundation, in recognition of the space as an exhibition platform for large public art projects. Bernard Tschumi will give the 2011 Louis I. Kahn Memorial Lecture on Thursday, May 5, at the University of Pennsylvania Museum of Archaeology and Anthropology, sponsored by the AIA Philadelphia Center for Architecture. Lecture by Bernard Tschumi, Friday April 29th, 5:30pm at the Cité de l’Architecture et due Patrimoine, Palais de Chaillot, in Paris. The Acropolis Museum by Bernard Tschumi Architects is one of six finalists for the 2011 the European Union Prize for Contemporary Architecture, also known as the Mies van der Rohe Award. The prize is awarded every two years to an architectural work in Europe that highlights excellence in contemporary building. 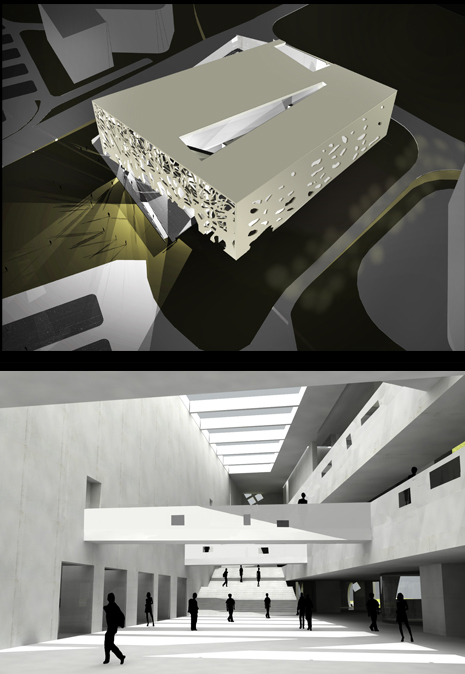 Previous winners include works by Rafel Moneo, Peter Zumthor, OMA, and Dominique Perrault, among others. The winner will be announced in a ceremony on June 20th at the Mies van der Rohe Pavilion in Barcelona. The American Institute of Architects has recognized Bernard Tschumi Architects and the Acropolis Museum in Athens with a 2011 Honor Award for Architecture, one of the top prizes in the field. Ten projects are selected each year for the award. “The building rotates in plan to fit the site while the archeology still remaining does not try to be an overstatement and compete with the Acropolis,” remarked the jury in comments. 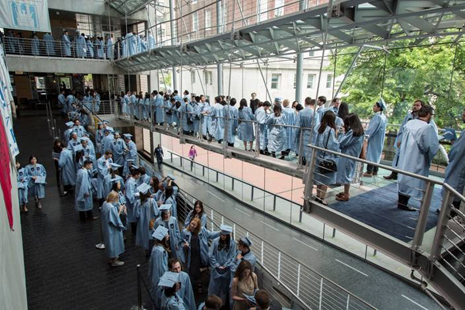 Other recipients included the AT&T Performing Arts Center by REX and OMA, the Diana Center at Barnard College by Wiess/Manfredi and the Vanke Center by Steven Holl. The award will be presented in a formal ceremony at the AIA convention in New Orleans in May. Bernard Tschumi Architects, working with Arup, New York, are selected to compete for the new Musée des Beaux-Arts in Lausanne, Switzerland. Other competing teams include Souto Moura Arquitectos, Kengo KUMA & Associates, Allied Works Architecture, Harry Gugger Studio, Caruso St John Architects, and Gigon/Guyer Architekten. 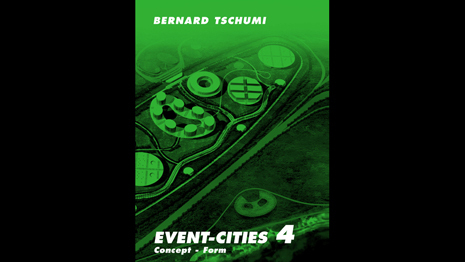 The official book launch of Event-Cities 4 will be at the Storefront for Art and Architecture in New York on November 12th, featuring a conversation between Peter Cook and Bernard Tschumi. 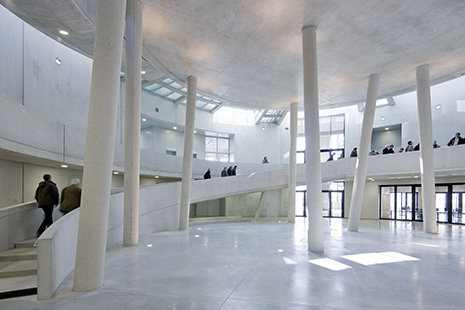 Tschumi lectures on the topic of “Architecture et Cinema” at the École nationale supérieure d'architecture Paris-Malaquais, in Paris. Bernard Tschumi launches Event-Cities 4 on the west coast on the occasion of his lecture at the Southern California Institute of Architecture (SCI-Arc). More than two million people have visited the new Acropolis Museum during its first year of operation, according to figures presented by the museum to mark the first anniversary since its public opening on June 20, 2009. Bernard Tschumi Architects launches a new website designed by New York-based Project Projects. 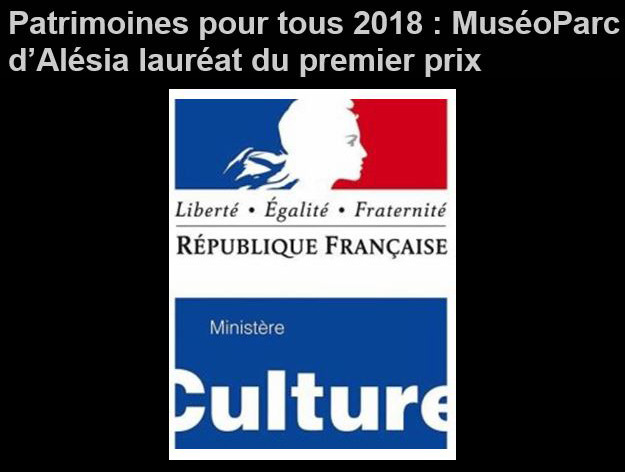 Presentation by the National Museum of Natural History, Paris, with Valérie Pécresse, Ministre de l’Enseignement Superior et de la Recherche , Bertrand-Pierre Galey, Directeur général du Muséum national d’Histoire naturelle, Chantal Jouanno, Secrétaire d’Etat chargée de l’Ecologie, Yves Gabriel, Président-directeur général de Bouygues Construction (representing Chrysalis), and Lyne Cohen-Solal, Adjointe au Maire de Paris. 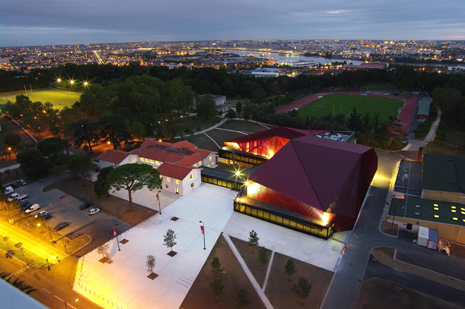 Project by the Chrysalis Group, Jacqueline Osty Associés, landscape architecture, Bernard Tschumi urbanistes Architectes, with Véronique Descharrières (BTuA), Synthése Group. Bernard Tschumi and 200 other architects were invited to present works that interpret and celebrate the architecture of the Guggenheim’s central gallery on the occasion of the Museum’s 50th anniversary. Selections will be on view in an exhibition titled “Contemplating the Void: Interventions at the Guggenheim Museum” at the Solomon R. Guggenheim Museum from February 12 to April 28, 2010. 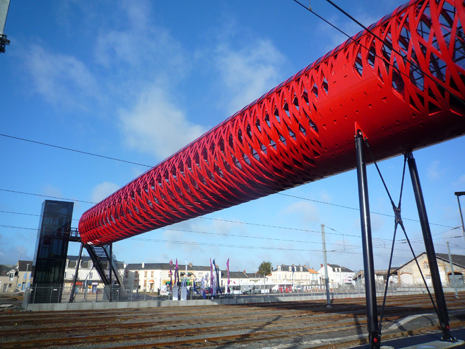 A public ceremony inaugurates a footbridge in la Roche-sur-Yon, France designed by Bernard Tschumi Architects and Hugh Dutton Associates. 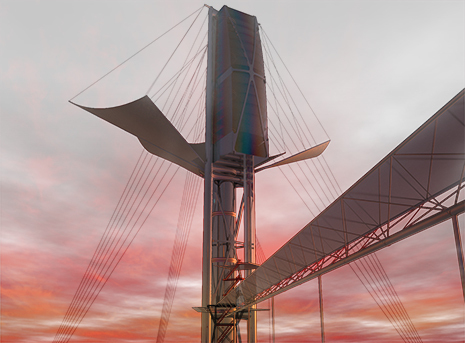 The bridge's cylindrical structure aims to express the loads and stresses on the bridge while creating an original and contemporary statement for a town promoting the arrival of TGV train service to the coast. 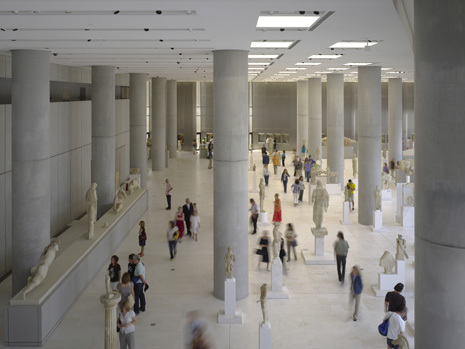 The Acropolis Museum receives 500,000 visitors in its first two months open to the public. The New Acropolis Museum opens in a formal ceremony for dignitaries and VIPs.